Summer vacation and family getaways go hand in hand. Camping by the lake, hiking in the hills and cooking in the grass are all quintessential summer activities. Enjoying the great outdoors is one thing, but no one wants to bring the outdoors home with them. Typical vacation pests include ants, roaches, flies, mosquitoes and rodents — but perhaps the most feared is the bed bug. And in Texas, the chigger. Don’t let the fear of a fly keep you from enjoying the great outdoors! But, seriously, there are pests you just want to flat out avoid — bed bugs and chiggers, just to name a couple of the more difficult to get rid of. Bed bugs are an increasingly common problem in Texas and Oklahoma. And summer just makes it worse. As we plan our vacations and get ready for adventure, there are some tiny travelers that want to hitch a ride. For Bed Bug Awareness Week (June 3-9, 2018), learn the tips and tricks for identifying, treating and preventing bed bugs. Luckily, with some knowledge and quick action, you can identify and treat your bed bug problem and prevent an infestation. Here at ABC Home & Commercial, November is our peak time for bed bug treatment. Every summer vacations are taken, leaving travelers like you at risk of bed bugs in your home with them. Bed bugs become very active in the late summer and fall before it cools down for winter. By the time November rolls around, they have been enjoying the hot humid North Texas summer for a few months. Bed bugs don’t discriminate. They will live just about anywhere and bite anyone. Anyone who has slept where other people have slept before could get bed bugs. Even the nicest 5-star hotels are susceptible to infestations. The best way to prevent bed bugs is to check for them anytime you travel before you come home. How Do You Get Bed Bugs in Your Home? Where Do Bed Bugs Hide On Your Body? Bed bugs. Chances are good that you’ve heard of them, or even had a friend who has had a run-in with these pests that love to bite humans, feeding on their blood and leaving an itchy, painful rash behind. For most of us, the idea of bed bugs sends a shiver of fear up the spine, yet many people don’t actually know much about this insect, its habitat or its habits. Can you find bed bug eggs in hair, and are these pests able to live on clothing or our body? Do they fly or cause diseases? And how difficult are they to get rid of, once they’ve invaded your living space? The more you know about bed bugs, the better you can protect yourself and your home from a bed bug infestation. Bed bugs are on the rise across the country. Although these small, reddish-brown parasites have always been a common pest, experts believe that the increased ease of air travel and the outlawing of strong insecticides have allowed their numbers to surge once again. Where do bed bugs come from, and what attracts them? Knowing the answers to these questions can help you get these pests out of your home – for good. What do Bats have to do with Bed Bugs? What would you say if we told you bed bugs come from bats? Seems crazy; shocking even! We know. But as unbelievable as it sounds—it’s true. The bloodsucking bed bug’s origins do in fact, trace back to bats. 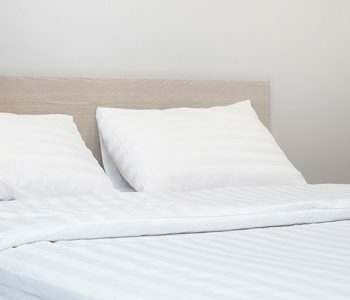 Our team at ABC Home & Commercial may know a thing or two about bed bugs, but we realize that many of our neighbors here in Austin aren’t so in tune with this headache-causing pest. Whether you’ve dealt with a bed bug infestation in the past, or have yet to encounter the creepy crawlers in your home, understanding where the pests come from and why they’re in your home is your best bet for keeping your home safe. Let’s take a look together at how and why such tiny creatures can create such a big problem.